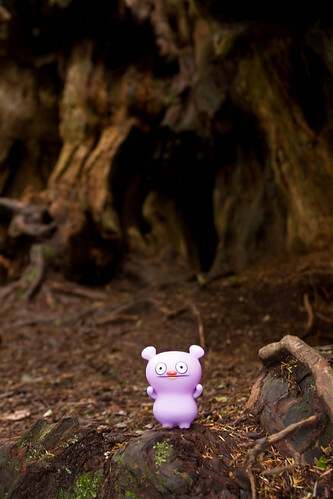 Uglyworld #568 - Trunko at the Magic Tree, originally uploaded by www.bazpics.com. Trunko hadn't been too interested in visiting the World's largest Cedar tree earlier in the day, as he said there was another huge tree to come later on. He instructed us to turn off of the main road and along a well beaten road which led to what he referred to as "the magic tree". What makes it magic I've no idea, and no magic beings were visible or harmed in the making of this image.